It’s Chocolate Time!!!! 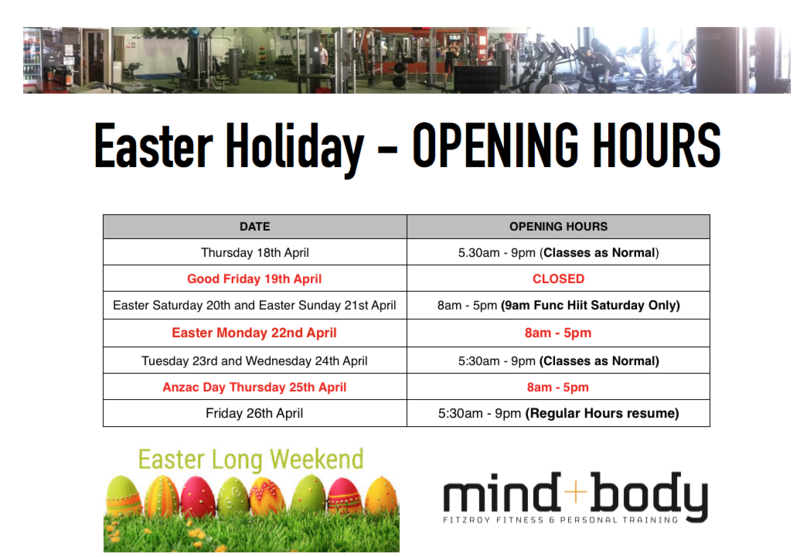 We are closed on Good Friday, but Saturday & Sunday will operate as normal with classes. Easter Monday is Public Holiday Hours 8am-5pm with no classes. So if you are around for the long weekend make sure you pop in and have an egg or 10 with reception/trainers (thats if the staff leave any). 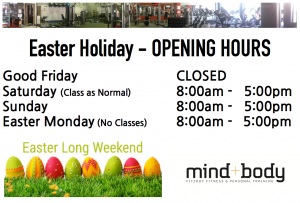 No Comments to "Easter Holiday Hours 2018"
Mind and Body truly offers a refreshing perspective to the gym experience and training. Our no contract, no joining fee policy makes it a comfortable environment, allowing you to quickly focus on getting results. Our friendly staff at Mind and Body along with our functional training approach, will make your experience in a positive step towards a healthier you.